Playing their second road game in two nights, the Jazz led midway through the second half before running out of gas in a 117-114 loss to the Atlanta Hawks Thursday night. 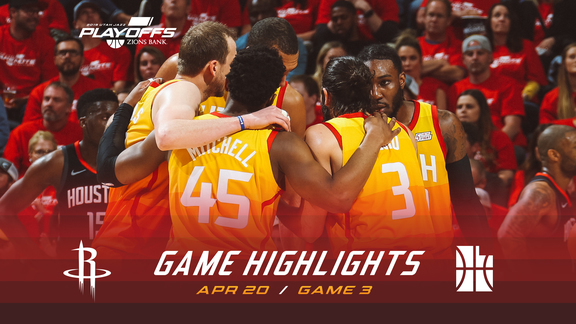 Donovan Mitchell scored a game-high 34 points, while Derrick Favors (15 points, 15 rebounds, two steals, one block) and Rudy Gobert (12 points, 11 rebounds, three assists) each double-doubled in the loss. Ricky Rubio (17 points, seven assists), Joe Ingles (13 points, seven assists) and Royce O'Neale (10 points) also scored in double figures for Utah (42-30). The Jazz trailed by 11 at halftime, but they opened the third quarter on a 9-0 run and eventuially took a nine-point lead. "We weren't as dialed in as we needed to be defensively in the first half," Jazz head coach Quin Snyder said. "I really liked how we responded in the third quarter. We came out and started getting stops, and we got easy stuff on offense off our defense." Atlanta, though, finished the game on a 19-8 run to steal the victory. Down by three in the closing seconds, Utah had the ball and a chance to tie the game. Kyle Korver drew a foul with 5.6 seconds remaining but missed the first free throw. He then missed the second on purpose, and Mitchell soared in for the rebound. He darted to the corner for a turnaround 3-point attempt that missed by inches, rattling out as the clock ticked down to zero. 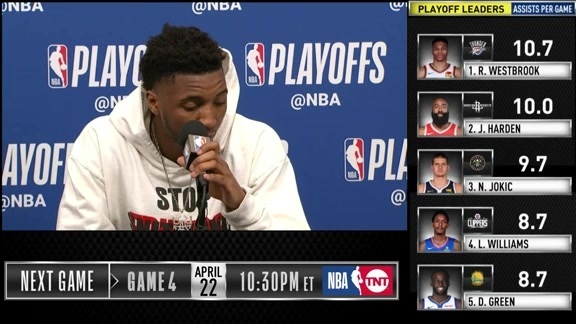 Rookie standout Trae Young led the Hawks (25-48) with 23 points and 11 assists, while Dewayne Dedmon finished with 18 points and nine rebounds in the win. Mitchell scored at least 30 points for the second straight game, and he added four rebounds, two assists, one steal and two blocks in 36 minutes. The second-year guard is now averaging 29.7 points on 47.0 percent shooting in 15 games since the All-Star break. 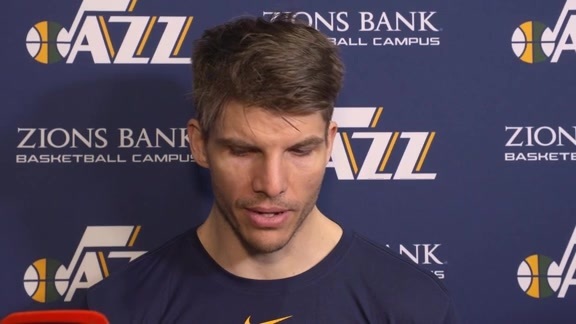 The Jazz were outscored 40-23 in bench points, with Jae Crowder (0-for-6), Korver (2-for-7), O'Neale (3-for-7), Raul Neto (2-for-6) and Thabo Sefolosha (0-for-2) combining to shoot only 25.0 percent from the field (and 3-for-18 from 3-point range). Led by Mitchell, Favors and Gobert, Utah outscored Atlanta 56-38 in the paint. While the Hawks struggled inside, they killed the Jazz from the perimeter. Atlanta shot 19-for-40 (47.5 percent) from 3-point range, with six different players making multiple threes. "Sometimes fatigue is as much mental as it is physical. We want to win, but we want to get better. This game can help reinforce some things we know as a team and just have to continue to grind on." Korver, who played for Atlanta from 2012–17, was honored with a video tribute and received an ovation during a first-quarter timeout. ... Danté Exum (knee) was out for the Jazz. ... The game featured five ties and 16 lead changes. ... Utah outrebounded Atlanta 49-43. ... Atlanta outscored Utah 16-12 in transition. ... Both teams struggled from the free-throw line. Utah shot 18-for-26 (69.2 percent) while Atlanta shot 16-for-23 (69.6 percent). The Jazz will finish their four-game road trip on Saturday against the Chicago Bulls. Tipoff is set for 6:00pm MT.